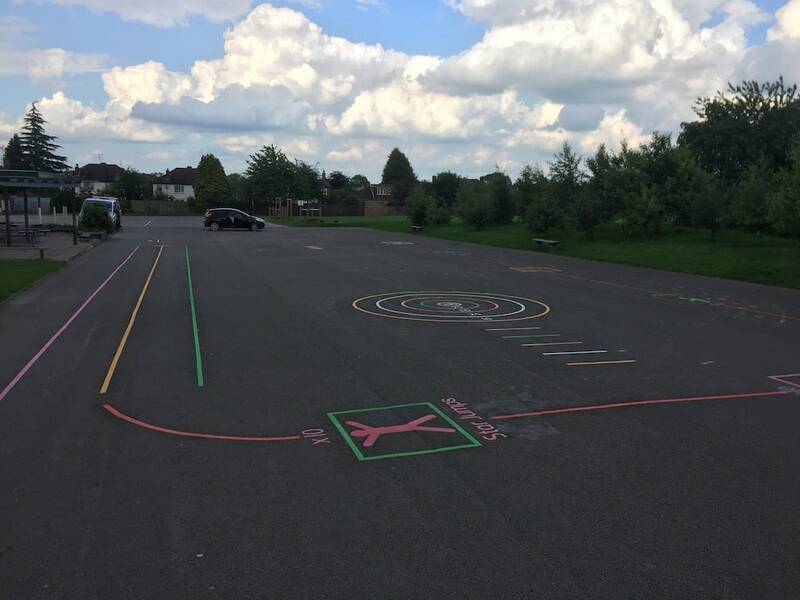 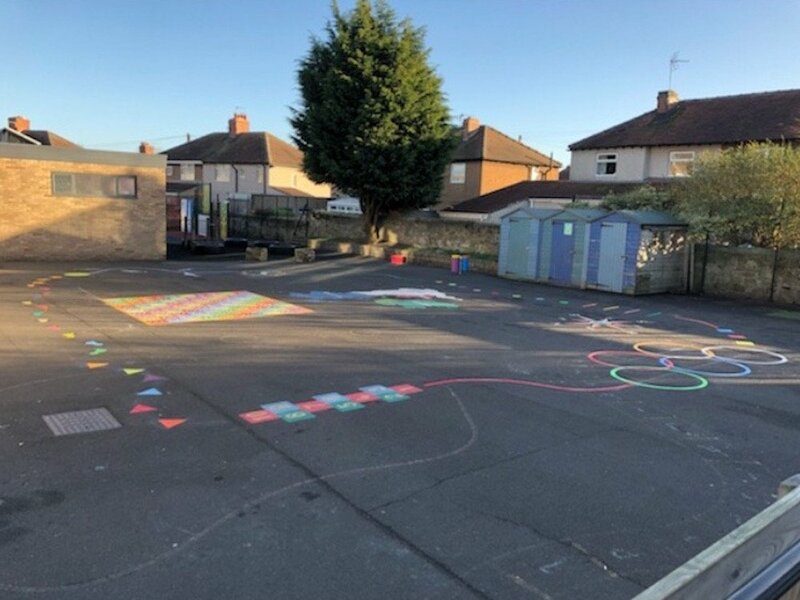 first4playgrounds installation team have just completed a range of Thermoplastic Playground Markings at a Primary School in Bulkington near Coventry. 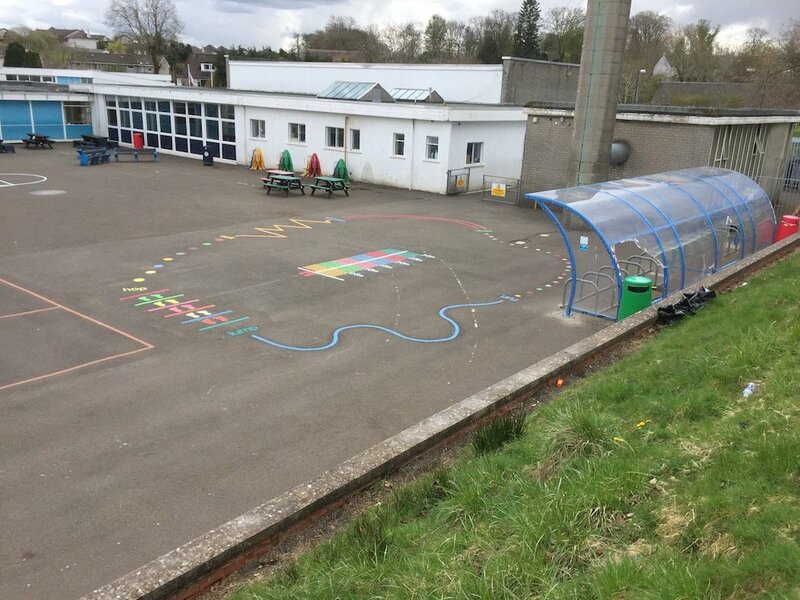 The first of these playground markings was a fitness trail. 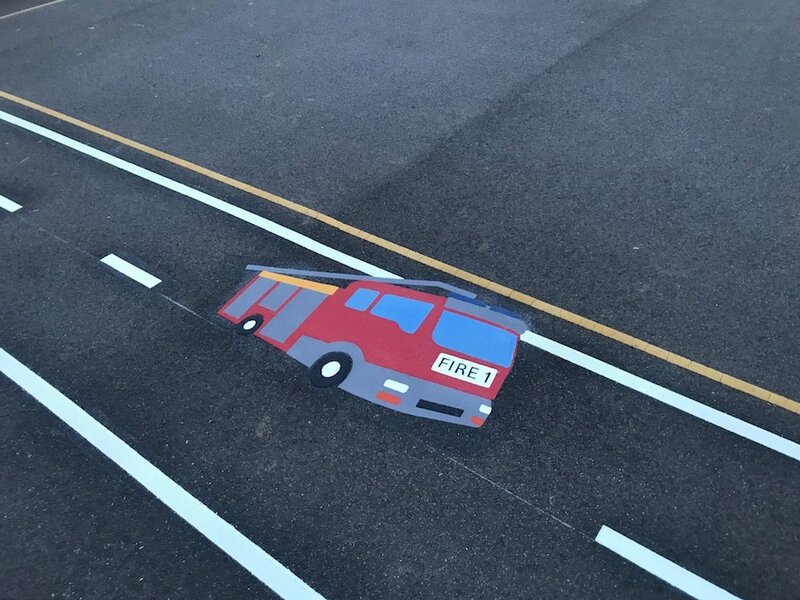 The fitness trail includes seven stations. 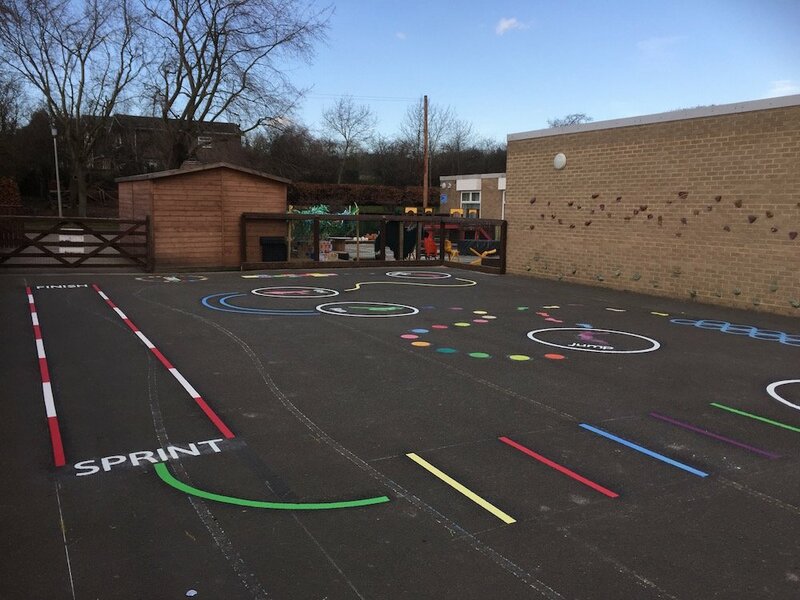 The children run along the trail following each instruction as they come to it. 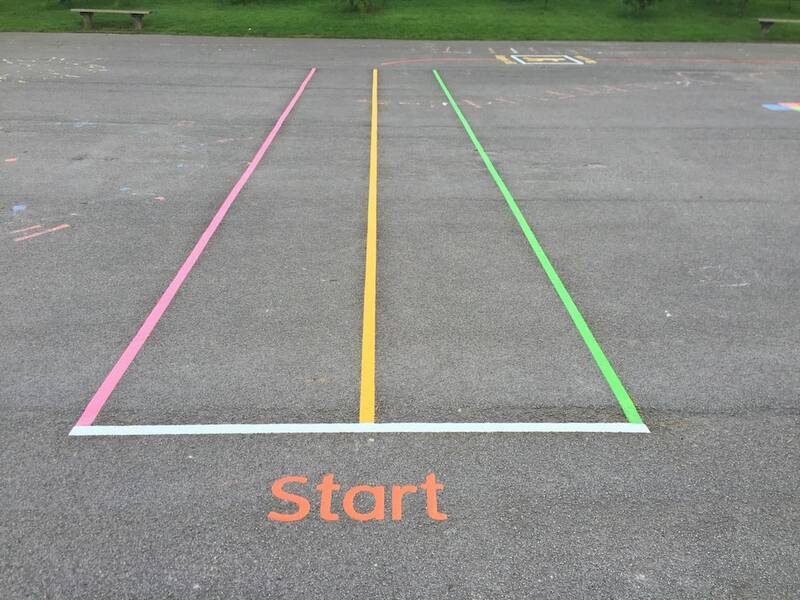 This is a great marking to keep children active and healthy. 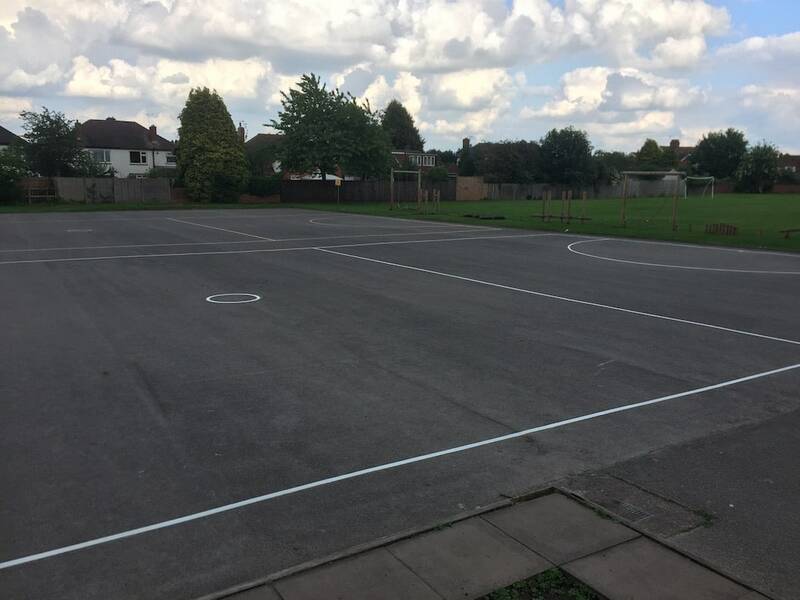 Next the team installed two netball courts. 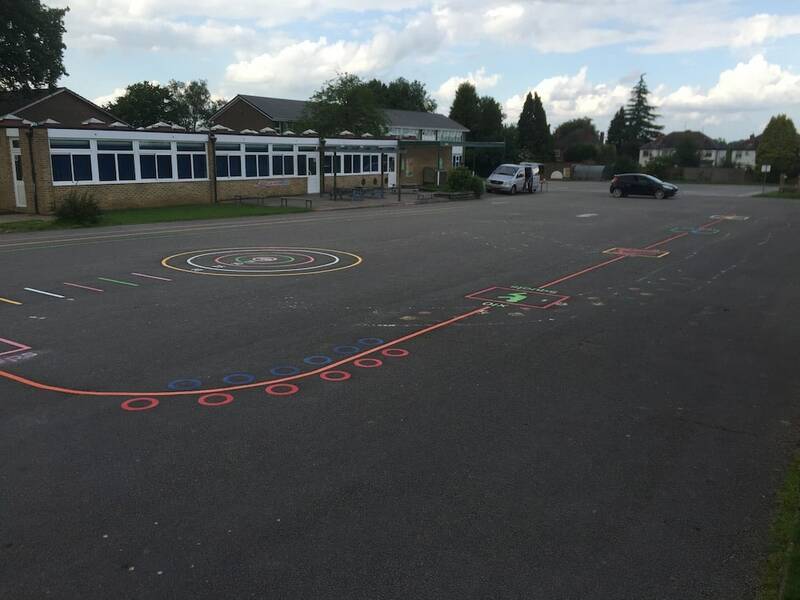 These were 15x30 meters. 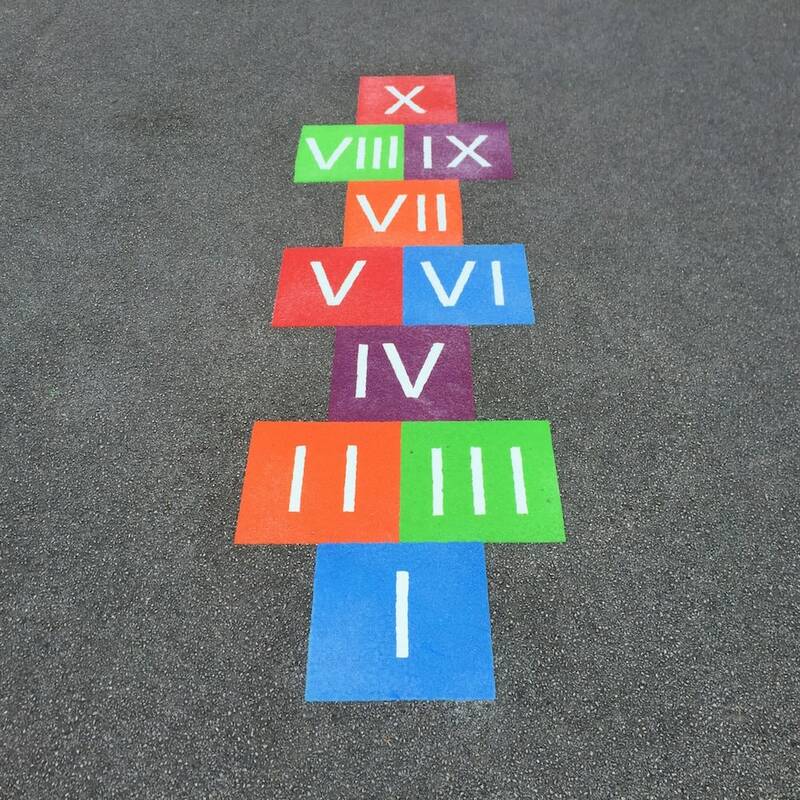 Then we installed this roman numeral hopscotch. 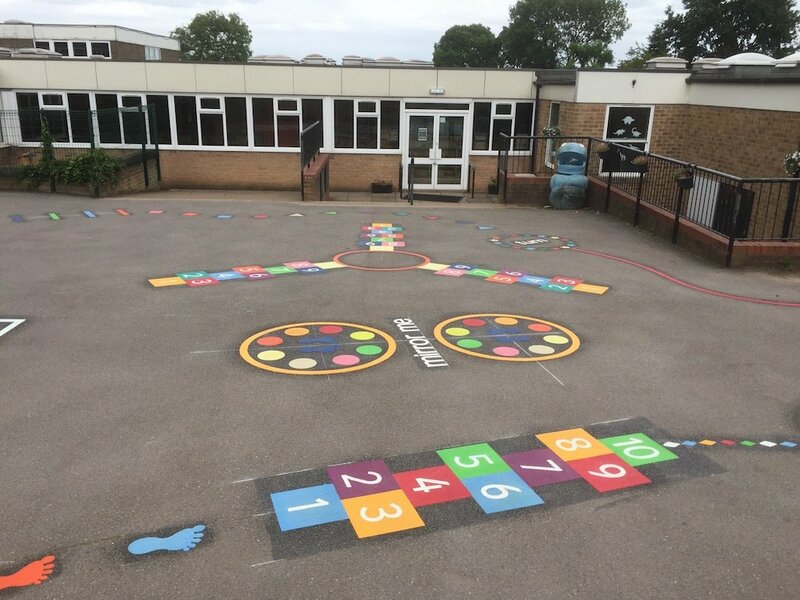 A twist off our classic hopscotch game. 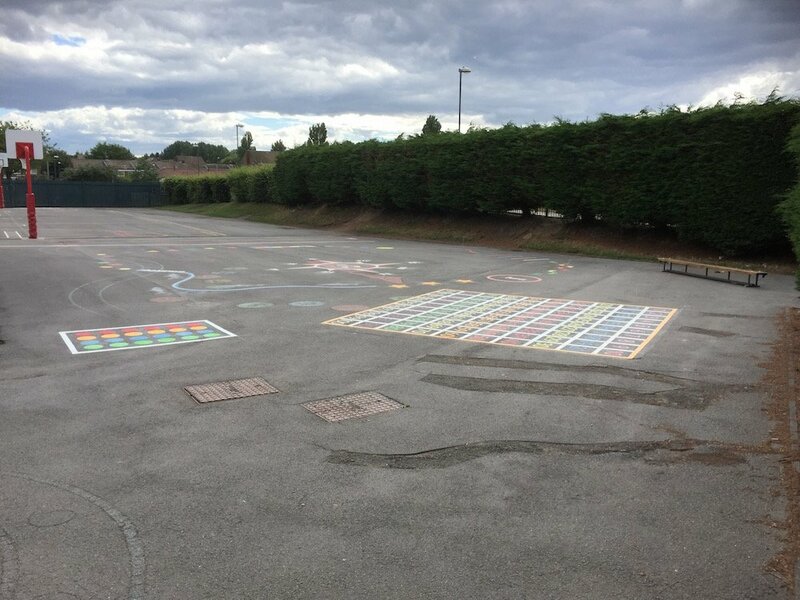 This is great for Key stage 2 children learning roman numerals. 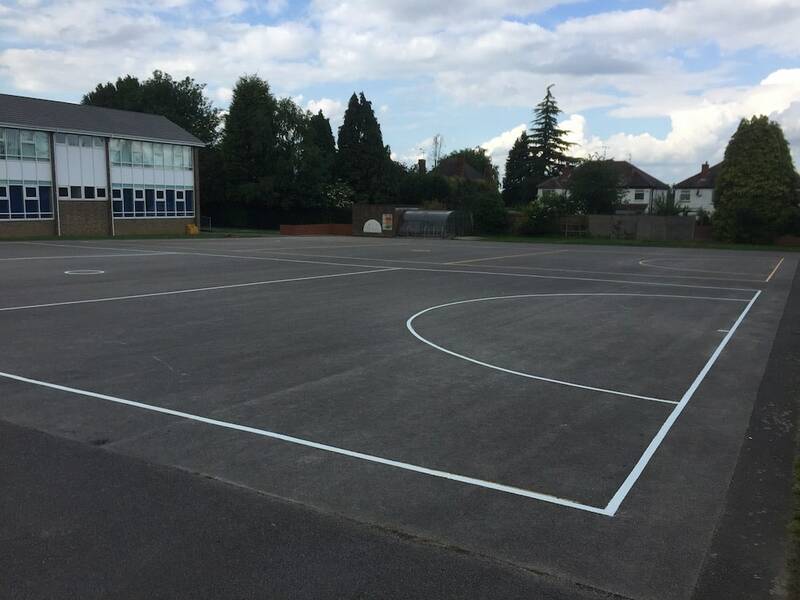 Finally this sports court was installed. 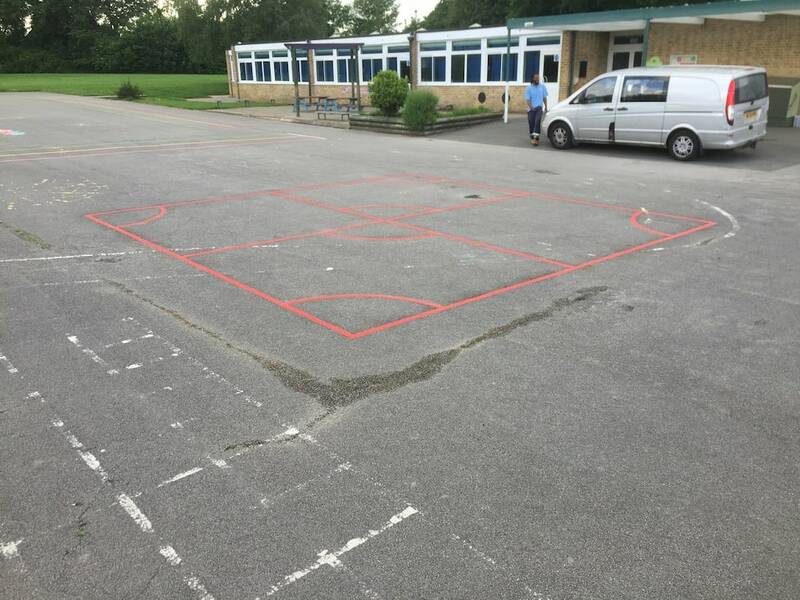 These area very commonly installed marking as teachers can use them for a veriaty of different games in P.E.